This 2001 book focuses on the problem of justice for indigenous peoples and the ways in which this poses key questions for political theory: the nature of sovereignty, the grounds of national identity and the limits of democratic theory. It includes chapters by leading political theorists and indigenous scholars from Australia, Aotearoa/New Zealand, Canada and the United States. One of the strengths of this book is the manner in which it shows how the different historical circumstances of colonization in these countries nevertheless raise common problems and questions for political theory. 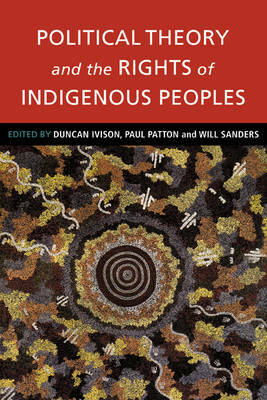 It examines ways in which political theory has contributed to the past subjugation and continuing disadvantage faced by indigenous peoples, while also seeking to identify resources in contemporary political thought that can assist the 'decolonisation' of relations between indigenous and non-indigenous peoples.